-The extreme cold gripping Western North Carolina has most people scrambling for indoor warmth, but at least one industry is rejoicing: area ski slopes and those who love to hit the slopes for winter sports. The phone is ringing off the hook at Cataloochee Ski Area in Maggie Valley, The Mountaineer newspaper reports. The week between Christmas and New Year’s Day is typically the biggest week for Cataloochee, so the cold snap was perfectly timed. Cataloochee also ran out of rental equipment briefly last week for the first time in two seasons. Beech Mountain Ski Resort in Banner Elk reports good skiing conditions. The destination is planning for its annual Totally ’80s Retro Ski Weekend on Feb. 22-25. The weekend features 80’s tribute bands while encouraging people to wear DayGlo gear and 1980s fashions. Wolf Ridge Resort in Mars Hill also reports plenty of snow on 11 open runs. -The cold weather meme on my Asheville social media channels Tuesday was ice floes on the French Broad River. Wednesday, it was photos of frozen waterfalls. What’s next? -Leaders from the historically African American neighborhoods of Shiloh, Burton Street, East End and Stumptown in Asheville are partnering with the Asheville-Buncombe African American Heritage Commission on the installation of historic markers in their neighborhoods, writes Ami Worthen, for Buncombe County government’s page in the Urban News newspaper. 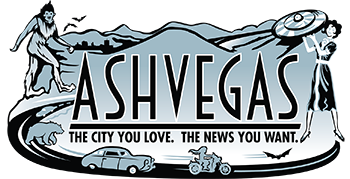 -CNN has named Asheville one of the 18 best places to visit in 2018, alongside Rwanda, Cambodia, Lisbon, Perth and more. experiences​ ​to​ ​youth​ ​with​ ​limited​ ​access​ ​to​ ​wilderness​ ​adventures.​ ​Through​ ​exciting​ ​challenges like​ ​rock​ ​climbing​ ​and​ ​whitewater​ ​paddling,​ ​program​ ​participants​ ​ages​ ​11-18​ ​learn​ ​to​ ​overcome obstacles,​ ​set​ ​long​ ​term​ ​goals​ ​and​ ​imagine​ ​a​ ​future​ ​with​ ​endless​ ​possibilities. Additionally,​ ​the​ ​fund​ ​will​ ​offer,​ ​on​ ​an​ ​annual​ ​basis,​ ​a​ ​​Sponsor​ ​a​ ​Youth​ ​Athlete​ ​Grant​​ ​that​ ​is​ ​to be​ ​awarded​ ​to​ ​a​ ​local​ ​youth​ ​athlete​ ​in​ ​need​ ​of​ ​financial​ ​support​ ​related​ ​to​ ​their​ ​sport.​ ​For example,​ ​a​ ​young​ ​mountain​ ​biker​ ​may​ ​need​ ​help​ ​with​ ​airline​ ​tickets​ ​in​ ​order​ ​to​ ​attend​ ​the​ ​USA Cycling​ ​Mountain​ ​Bike​ ​National​ ​Championships. Finally,​ ​the​ ​fund​ ​will​ ​support​ ​the​ ​annual​ ​​MSF​ ​Golden​ ​Backpacker​ ​Award​,​ ​where​ ​the​ ​festival​ ​will recognize​ ​on​ ​stage​ ​an​ ​individual​ ​who​ ​has​ ​done​ ​a​ ​lot​ ​to​ ​advance​ ​the​ ​outdoor​ ​industry​ ​in​ ​our region. Speaking of skiing, has anyone every cross-country skied along the Blue Ridge Parkway? Where are the best spots?